Send off the year with a bang! Watch the New Year’s Eve fireworks over the Las Vegas Strip or enjoy a romantic midnight Champagne toast with someone special at one of GAYOT’s Best New Year’s Eve Restaurants in Las Vegas, presented in alphabetical order. Andiron Steak & Sea in Downtown Summerlin will celebrate New Year’s Eve with a multi-course menu presenting temptations like classic lobster bisque and Prime New York strip with red wine sauce ($105). Party favors and a midnight balloon drop will enhance the atmosphere. Choose from three seatings: 8:30 p.m., 9 p.m. and 9:30 p.m.
Andrea’s at Encore will offer a six-course prix-fixe menu on New Year’s Eve ($295 per person), which includes a Champagne toast at midnight. 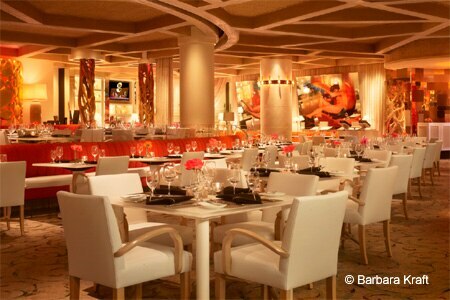 The talk of the town, Aureole‘s tower has raised the bar in Las Vegas for wine aficionados. On New Year’s Eve, the Mandalay Bay restaurant will present a seven-course tasting menu, with dishes ranging from Maine lobster tortellini to pepper-roasted bison tenderloin ($125 per person). 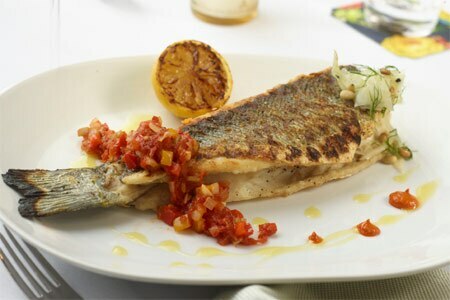 Guests may also order from an à la carte menu. 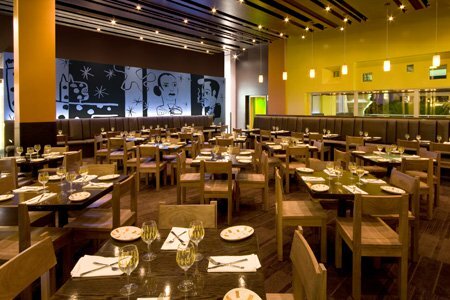 New Year’s Eve guests at Border Grill’s Mandalay Bay outpost can feast on the likes of Peruvian ceviche ($16), pepita-crusted tuna ($32) and banana cream pie ($10), or opt to enjoy dishes from the restaurant’s regular menu. New Year’s Eve will offer four dinner seatings, all with a multi-course menu, ranging from the Sunset ($98 per person) to the Gala ($495 per person). 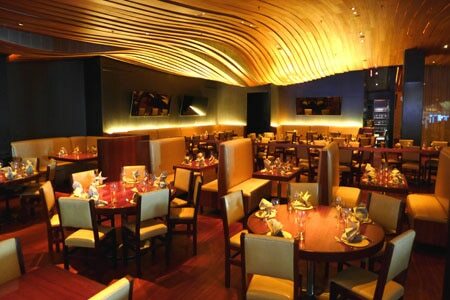 Bellagio’s Fix has an urban-modern design with a wave-like ceiling and multi-level banquettes creating an intimate yet expansive setting. Enjoy American fare like lobster tacos, scallops Benedict and surf & turf at the four-course New Year’s Eve dinner ($135 per person from 5 p.m. to 6:30 p.m.) as well as the five-course gala ($185 per person from 7 p.m. to 11 p.m.; $225 per person with endless Champagne). 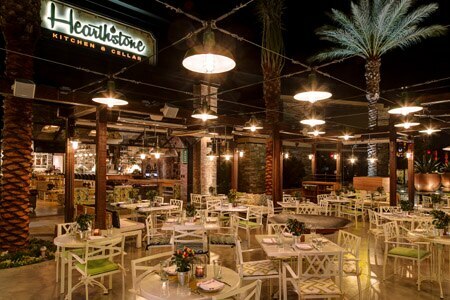 Hearthstone Kitchen & Cellar inside the Red Rock Hotel & Casino will serve dinner from 5 p.m.-9 p.m. with live music on New Year’s Eve. Holiday food specials will be available all evening. 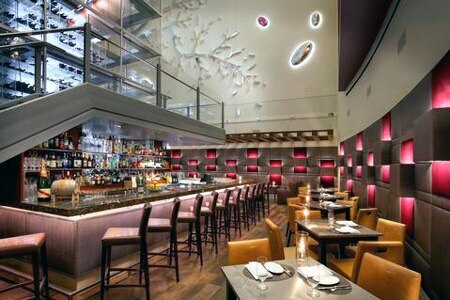 From 9 p.m.-close, enjoy a passed appetizer and open bar package ($75). This seafood-focused restaurant at Wynn Las Vegas faces the picturesque Lake of Dreams, with its soothing water wall and nightly light shows. 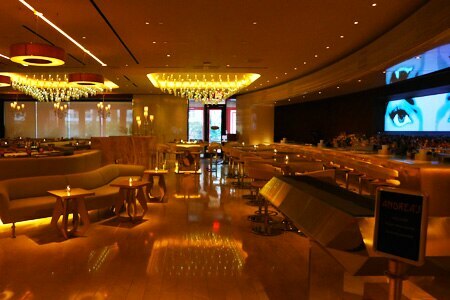 The New Year’s Eve festivities include a tasting menu ($425 per person) and midnight Champagne toast. 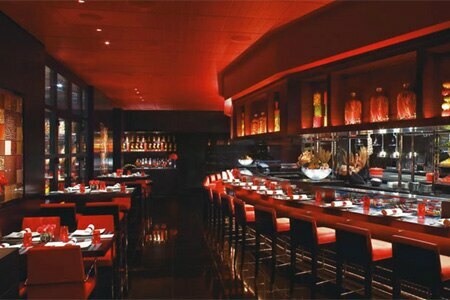 L’Atelier de Joël Robuchon at MGM Grand Hotel & Casino boasts slick, glossy black-and-red décor. On New Year’s Eve, a special nine-course Discovery menu ($325) will be offered, presenting the likes of corn velouté with milk foam, seared foie gras and shaved truffle; filet of turbot; and a white chocolate sphere with pineapple, mango and passion fruit ice cream. 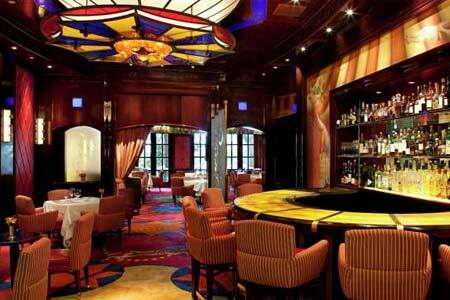 Le Cirque at Bellagio will offer two seatings on New Year’s Eve, each with a multi-course menu. The first is $165 per person, while the second gala seating is $450 per person and includes entry to Hyde Lounge and a party favor.